Some residents of La Jolla Shores and Bird Rock say that U.S. Rep. Scott Peters’s undated letter that blames aircraft-noise increases on Montgomery-Gibbs Field is "nonsense." "The [San Diego County Regional] Airport Authority's noise specialists told Rep Scott Peters that was the case and Scott just regurgitated that information in a letter to constituents," Chris McCann wrote in an email on November 27th. "The vast, vast majority of noise complaints filed by residents in Birdrock have been against commercial traffic departing SAN." Two weeks ago, a long-awaited aircraft noise study confirmed that La Jolla has seen an increase in aircraft noise since the Federal Aviation Administration made changes to how San Diego airspace is used. La Jolla is affected by aircraft from several different sources, including helicopters from Marine Corps Air Station Miramar and Montgomery Field, the report notes. "Noise levels from SDIA (Lindbergh) operations on average were lower magnitude than non-SDIA aircraft operations, but started earlier and ended later in the day (when background noise is quieter)," airport acoustical engineering consultant Paul Dunholter wrote in his report. While noise levels from individual flights did not change, the number of aircraft making the noise increased by about 8 percent as air operations grew and the landing and take-off hours started earlier and ended later. "Combined effects of increased operations, late night hours of operation, louder fleet mix and narrower flight paths may result in louder areas," Dunholter wrote in the report. "There are times of the day that there is near continuous aircraft noise." Peters has been working with constituents to sort out claims that aircraft noise over La Jolla — and Point Loma — increased after the Federal Aviation Administration introduced a take-off and landing system called Metroplex to make the airspace work more efficiently. 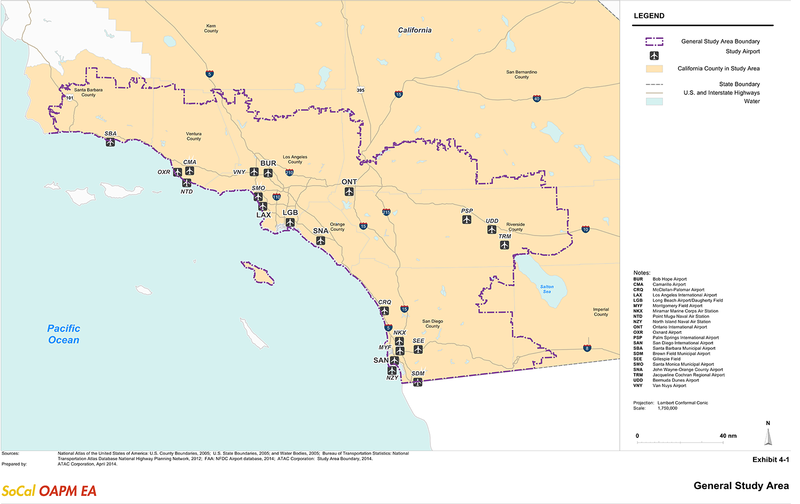 The phasing in of Metroplex (catchy slogan: “Optimizing the airspace above our cities”) started with the Point Loma area in November 2016; changes that affected La Jolla began in March 2017. The Metroplex project is said to have saved $7.8 million in fuel, amassing a carbon reduction of more than 23,000 tons. The SoCal Metroplex includes airports from Palm Springs to Burbank, from Santa Barbara — including LAX — down to the international border. Other Metroplex projects involve areas all over the country, from Northern California to Washington DC, Chicago, and Houston. Peters’s staff said the information in the letter, sent to several constituents, was based on preliminary data provided by the San Diego County Regional Airport Authority during frequent and ongoing conversations with them about the noise complaints. "The Congressman has and will continue to urge the Airport Authority to give serious and careful consideration to the recommendations made by the [airport noise advisory committee] and will be reaching out to City and County leaders urging them to address the noise concerns generated by the airports they oversee," Peters’s chief of staff, MaryAnne Pintar, said in an email. CaptainObvious Dec. 1, 2017 @ 1:04 p.m.